The PENTA Foundation was set up in May 2004 as the coordinating centre of the Paediatric European Network for Treatment of AIDS. It supports research on HIV and other paediatric infectious diseases. The Foundation is a promoter and sponsor of clinical trials according to the ICH GCP guidelines and relevant European Directives. It is also a centre for project development and management and for the collection and dissemination of information on Infectious Diseases related issues. It also coordinates training programmes for health providers. 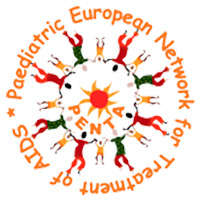 The PENTA-ID network developed in 2012 from the Paediatric European Network for Treatment of AIDS (PENTA Network), a collaboration between paediatric HIV centres in Europe with the aim of integrating the expertise acquired by PENTA and the need for new studies in other paediatric infectious diseases. The network benefits from international recognition, wide geographical representativeness, very high quality research, an outstanding track record and diversified public and private funding. Mainly involved in WP5 and WP2.